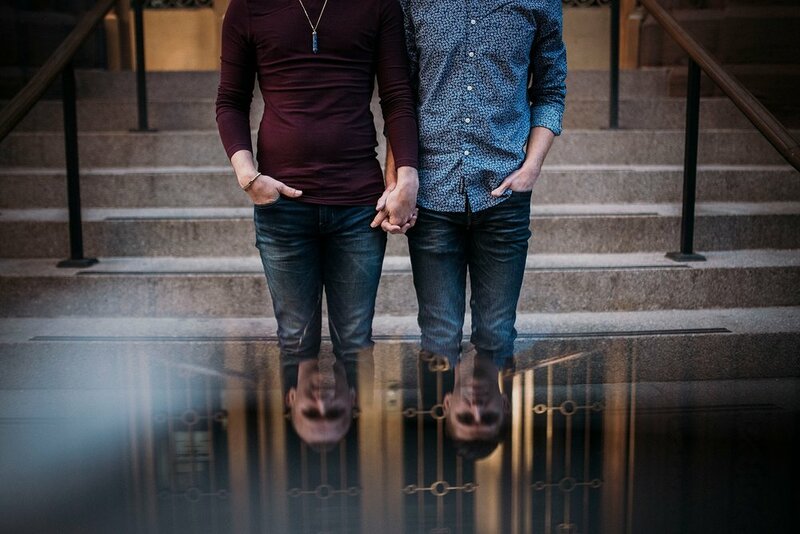 When I learned that in Pittsburgh, the city that I so proudly live in, there were wedding professionals who still refuse service to LGBTQ couples, on the grounds of religion, I got scared. What if someday, the alt-right becomes a religion and starts saying "serving immigrants is against our beliefs"....? As an immigrant myself, I know what rejection feels, and as a woman, I know what it feels when someone makes you feel inferior. So I have decided to choose the route of treating everybody with dignity and respect and to be an openly inclusive business. 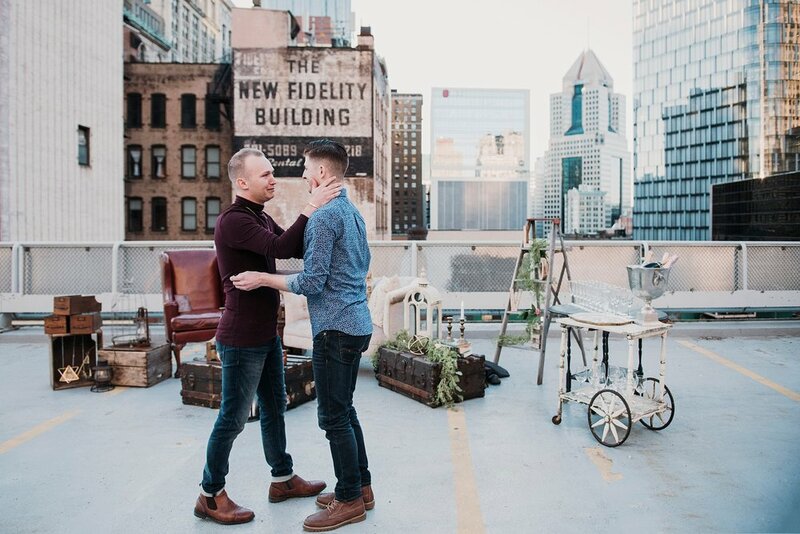 As a part of that commitment, last summer I did a gay/lesbian model call for a photo shoot to portray inclusion where I met Phil and Keith. After a little talking, I realized they were sweet, generous, hard-working, and committed to creating a better world through their career path. What a wonderful couple they were, totally my tribe!. 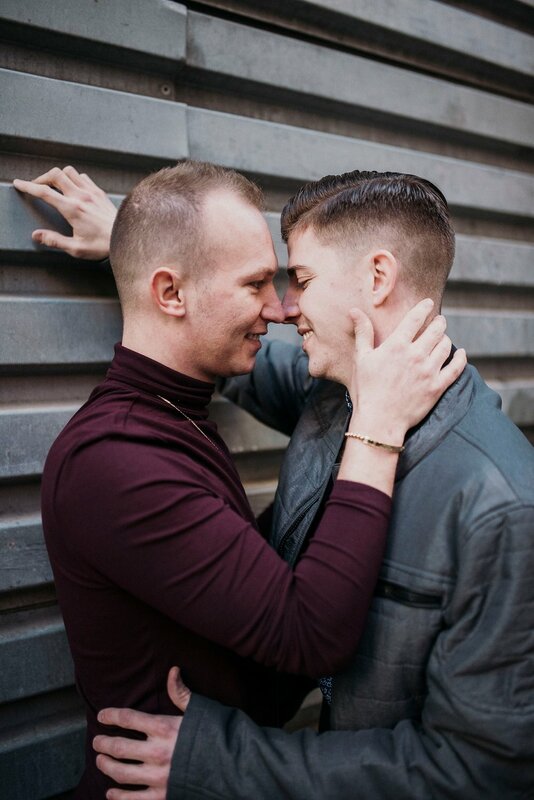 So when a few months later, Phill reached back to me to plan a proposal, we decided to use the same excuse I used before: a photo shoot to portray inclusion. 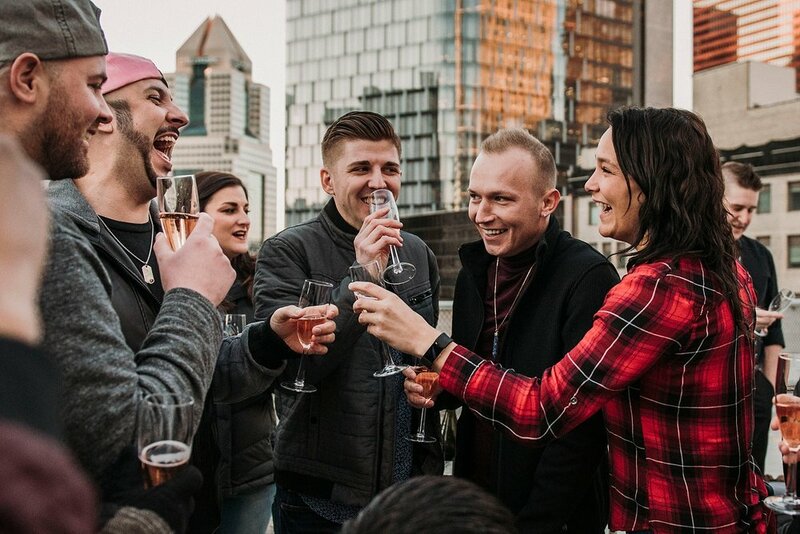 I wanted to showcase iconic downtown Pittsburgh places, a protest from the heart of the city, against an industry where so many are still discriminating. 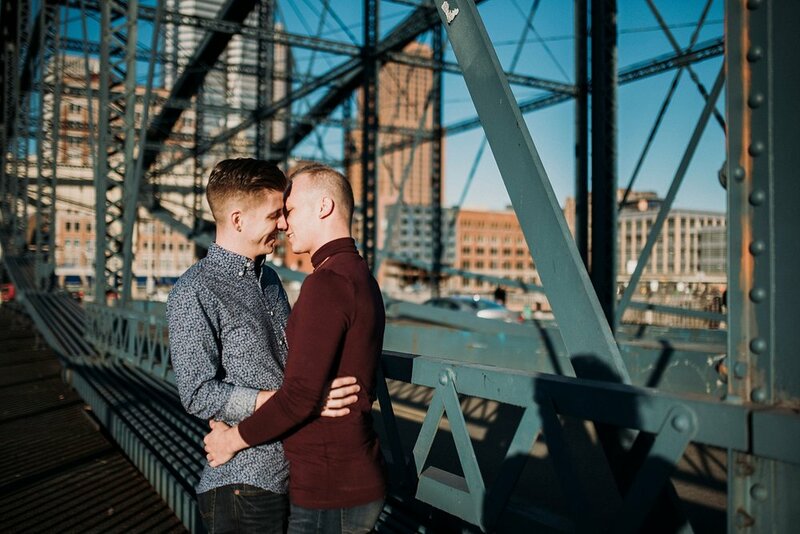 We walked around downtown photographing them being in love, and we ended in a lounge set up on a rooftop, with an amazing view of some iconic Pittsburgh sights. 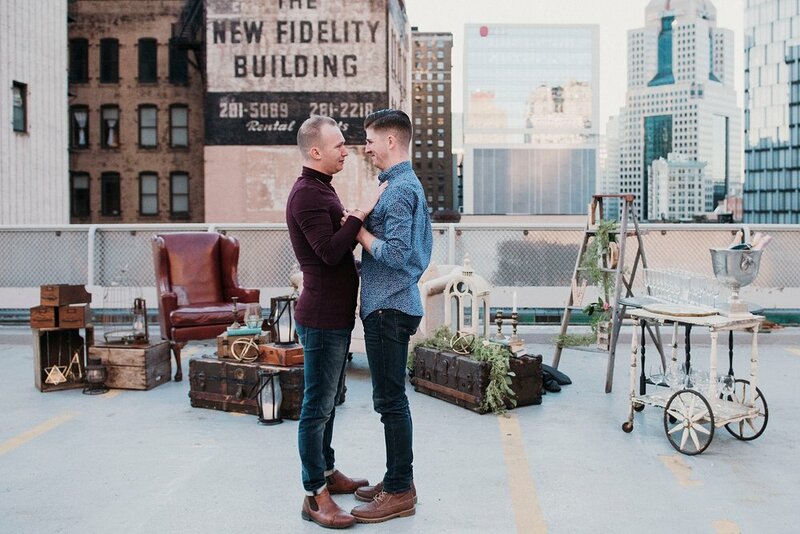 Phil hired the services of Vintage Alley, a sustainable company dedicated to styling through upcycling, giving character to celebrations like this one, with vintage furniture and decor, extending the life of furniture and items that otherwise would end up being wasted. Once at the lounge, I asked them to make “the hipster pose” To stand, first, looking at me, then looking at each other, and finally, to pose back to back, looking to opposite directions. Keith was totally caught by surprise, so much, that he ugly cried the entire time. 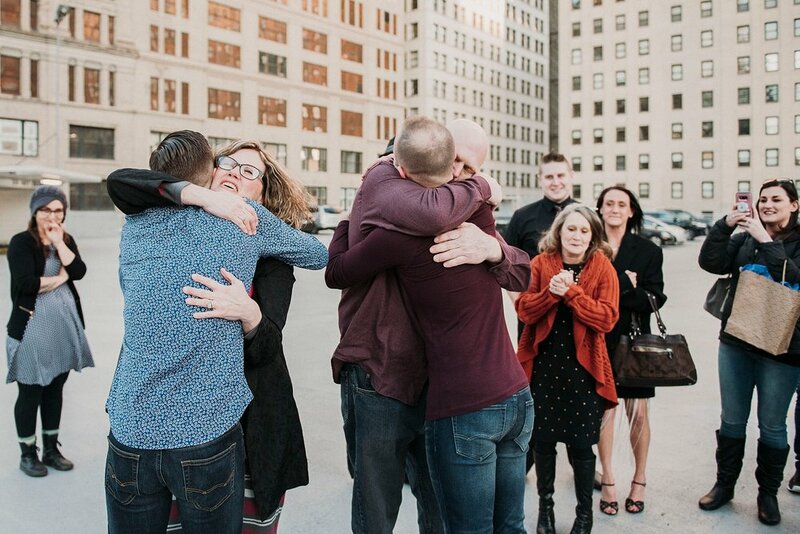 After he said yes, their closest family and friends joined to hug them and congratulate them, putting the cherry on top of the day, for these two brave souls embracing their love in a world of haters. and Cheers to your love story!